As your little girl gets older, the conversations begin to change. They are a lot different than the ones you had only a couple years. ago. Some of these topics are very important helping giving them guidance and advice as they grow and become their own independent self. 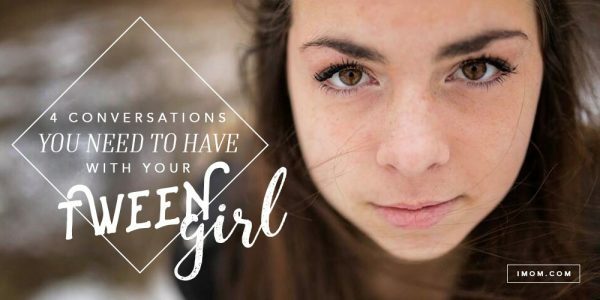 Read 4 Conversations You Need to Have with Your Tween Girl over at iMom!